Frequently Asked Questions | Virginia Lemon Law Attorney | The Consumer Law Group, P.C. Why should I hire an attorney for my Virginia Lemon Law claim? If you are experiencing ongoing problems with your new car in Virginia, you may qualify for a full refund or replacement of the vehicle under Virginia’s Lemon Law. As you begin to research how to go about making a claim, you may discover that it appears to be a do-it-yourself process. However, this may not be the approach you want to take. The Better Business Bureau (BBB). 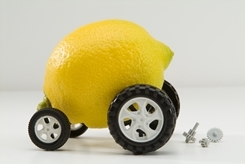 The BBB administers a dispute resolution process to settle Lemon Law claims as an alternative to going to court. 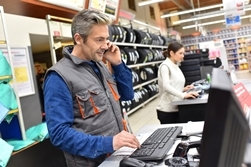 The BBB Auto Line Program handles complaints against most vehicle manufacturers, but may or may not be able to get you a satisfactory resolution. The Virginia Attorney General’s Office. If the car company you are dealing with does not work with the BBB, or the BBB cannot successfully resolve your claim, you can file a complaint with the Attorney General’s office. However, there is no guarantee that they will be able to get your money back either. Your third option is to hire a qualified Virginia Lemon Law attorney to represent you against the auto manufacturer. 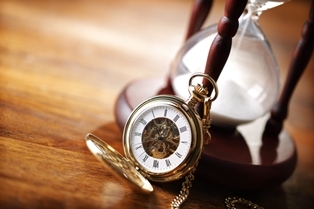 An experienced Lemon Law attorney will save you time and cost you nothing. Rather than submitting a complaint and waiting for a response, our attorneys will let you know in our initial telephone conversation if you have a valid claim and will act quickly and decisively on your behalf. We can accomplish in a few days what it could take you months to accomplish on your own. If your claim is successful, the manufacturer will refund your money or replace your car and pay all of our legal and expert witness fees. Depending on your exact situation, you may or may not need an attorney for your Lemon Law claim, but you have nothing to lose by calling us first. We will evaluate your claim and give you an honest assessment. Fill out the form on this page to get started. 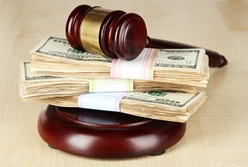 Can I recover economic damages in a Virginia Lemon Law claim? You depend on your car to get to work and to get to medical appointments, so when your car is not functioning properly, you could not only miss days of work, but your health and welfare could be at risk. If the defective car is new and you have cause for a Lemon Law claim, you may be wondering if you can recover for other losses you suffered as a result of the car not working. Unfortunately, the answer is usually no. Unlike in a personal injury claim, you cannot recover money for other types of damages caused by the loss of your car under a Lemon Law claim. This means that you cannot ask to be compensated for lost wages, missed medical appointments, or general hardship and suffering, even if the defects in your new car were the direct cause of these economic and non-economic damages. If the manufacturer fails to conform to the decision of an informal dispute settlement procedure and resolution of your claim is delayed, the court may also award enhanced damages of up to three times the value of the claim, plus additional attorney’s fees. If your Lemon Law claim involves special circumstances, including injury or exceptional hardship that was the direct result of the defective car, you should work with the Lemon Law attorneys at The Consumer Law Group, P.C. We will assess your case to determine if you are entitled to additional damages. We are here to help you protect your rights as a consumer in Virginia, call us today at 804.282.7900. Connect with us today to learn more. Are motorcycles covered under the Virginia Lemon Law? Owning a motorcycle is a life-long dream for many people and whether they ultimately choose a comfortable cruiser or a high-speed sport bike, they expect that their new purchase will have them out on the open road more than in the shop. 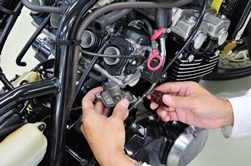 However, like other new vehicles, motorcycles can experience mechanical problems that need repair. Fortunately, motorcycles are covered under Virginia’s Lemon Law, so the owner is protected when he purchases a defective bike. In order to win a Lemon Law claim, you will have to show that your bike had to be repaired for the same defect three or more times in the first 18 months of ownership or it has been in the shop for over 30 days. If it is a life threatening defect then the law only requires 1 unsuccessful repair attempt. Electrical systems. Components such as the starter, alternator, lights, spark plugs, and battery can all act up in the first few months of ownership. Accessories. Not all accessories will be covered by the Lemon Law, but some factory-installed options may be covered if they are defective. Brakes. Problems with a new bike’s brakes will likely qualify as a significant safety defect, which the dealer will only have one attempt to repair. Fuel system. Any problems with the fuel tank, pump, filter, or relay could warrant a Lemon Law claim. Your motorcycle dealership in Virginia should be familiar with the Lemon Law and should cooperate when you need to file a claim. However, if you are facing resistance, give our office a call. We will tell you if we can help. Is Farm Equipment Covered by the Lemon Law? 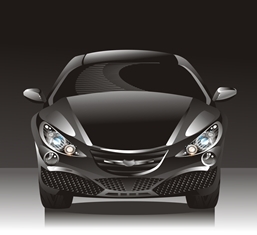 What can I do if my car has a defect, but it is past the 18 months allowed by the lemon law? Virginia’s Lemon Law applies to persistent defects found in new cars within the first 18 months of ownership. Even if the problem with your car began within those 18 months, if you fail to make the claim within the time limit, you will lose the opportunity to get a full refund of your purchase price or a new car in exchange for the defective one. However, this does not mean you should accept the defect. You are likely still covered under the car’s warranty and can make a warranty claim to get the problem fixed. Some new car warranties cover your car for three years or 36,000 miles, whichever comes first, but many manufacturers offer longer warranties, up to five years or 60,000 miles and power train warranties for up to 100,000 miles. Make sure you understand what your warranty covers before making a claim. Unscrupulous dealers or repair shops may try to claim that a particular issue is not covered by the warranty when in fact it is. Read your warranty carefully and understand exactly what is covered. Bumper-to-bumper. This is the general coverage that would pay to repair defects with any factory-installed part between the front bumper and the rear bumper. In other words, everything on the car. Tires are usually not included because they come with a separate tire manufacturer warranty. Powertrain. This coverage applies to the engine, transmission, and transaxle parts, and usually lasts longer than basic coverage. This is also known as a drivetrain warranty. Remember that the Lemon Law only applies to defects covered under warranty that are not repaired after several attempts. For a single defect that is fixed with the first repair attempt, the warranty would apply rather than the Lemon Law. However, once the 18 months are up, any repair issue may still be covered by the warranty and you may be eligible for your damages or a refund of the purchase price under a breach of warranty claim. If you have any questions about the Lemon Law in Virginia, feel free to browse our website. Attorney John C. Gayle co-wrote Virginia’s Lemon Law and provides lots of useful information to consumers. 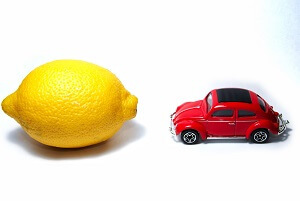 What can I do if my used car does not qualify for a Lemon Law claim in Virginia? While a handful of states have used car Lemon Laws, Virginia is not one of them. In Virginia, if the used car you purchased is still under the original manufacturer’s warranty and is less than 18 months old, you may be able to file a Lemon Law claim for mechanical or safety defects that cannot be repaired in a reasonable number of attempts. However, it is more common for used cars to be older than 18 months and to be past the limits of their warranty. If this is the case with the used car you have purchased and you find that it doesn’t run as promised, you may still be able to do something about it. The Uniform Commercial Code (UCC). Under the UCC, when you buy a used car, it automatically includes an implied warranty that the car is fit for transportation. However, an “as-is” sale usually overrides the implied warranty. Since most used cars are sold as-is, this code probably won’t help. However, the District of Columbia prohibits dealers from disclaiming the implied warranty, so the UCC can be effective there. 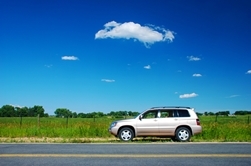 The Federal Trade Commission's Used Car Rule. The Federal Trade Commission (FTC) requires dealers who sell five or more cars per year to post a buyer’s guide in every car they sell. 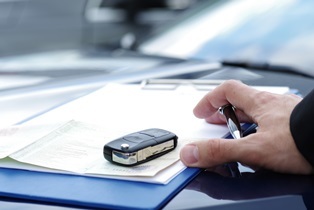 The guide must provide certain key pieces of information about the risks associated with buying a used car. If the used car you bought doesn’t include such information, you may have a claim if something goes wrong. Magnuson-Moss Warranty Act. Also known as the federal lemon law, this law prohibits the dealer from disclaiming an implied warranty when a car is sold with an express written warranty. 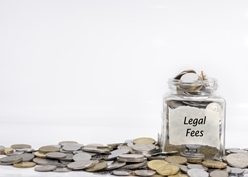 It also provides for the awarding of attorney fees in particular cases. Getting your money back or trading a defective used car for a different car are not easy actions to take in Virginia. You can protect yourself from buying a defective used car by having a mechanic inspect it before you buy it and checking for repair records and possible damage by running a Vehicle Identification Number report. If you believe you have been treated unfairly by a used car dealer, tell us about it on the form on this page. We will get back to you soon to let you know if you have a viable claim. 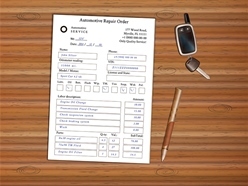 Why do I need to keep my automotive repair shop order receipts? When you discover your new car is a lemon, the burden will be on you to prove that to the manufacturer or in a legal proceeding later on. You will be required to present evidence of repeated repair attempts with an authorized repair shop. If you have been keeping accurate records since your first problem with the car, this should not be a problem. Each time your vehicle is looked at by the dealership, you should ask for a copy of the repair order and keep it in a safe place. These orders will serve as your evidence should you need to present a lemon law case. 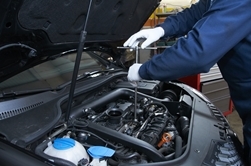 Give the service writer a clear description of all the warranty problems you are experiencing. If you have a problem that comes and goes, be as detailed as possible in describing the nature and frequency of the problem and the situation when it occurs. Make sure the service writer takes down all of the information you provided. Leave a written summary of this information for the service writer. When picking up your vehicle after repairs are complete, review the repair order to make sure all your complaints were listed, even if the dealer says no problem found. When a consumer keeps complete records of repair attempts, making a lemon law claim can be a simple process that is easily resolved to the consumer’s benefit. A lack of records will harm a legitimate claim. It may be up to you to insist on receipts for every repair, but you are within your rights to do so. 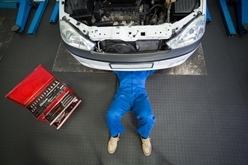 What counts as a repair attempt under Virginia’s Lemon Law? Any time you have to return to the car dealership after purchasing a new car is a hassle, but when you are making repeated visits because of a problem with your new car, it is especially frustrating. Fortunately, there may be something you can do. If you have taken your car in repeatedly to have the same mechanical or safety defect fixed, you may be able to return the car for a full refund or replacement. Under Virginia’s Lemon Law, any defect that is not fixed in a “reasonable number of repair attempts” is eligible for a claim. We explain what counts as a repair attempt here. Virginia’s Motor Vehicle Warranty Enforcement Act, otherwise known as the Lemon Law, is a carefully worded document designed to give consumers legal rights when they purchase a defective new car. Our own John Cole Gayle co-authored the law, so he is well aware of what the language means. A key component of the law is that the car has not been fixed in a reasonable number of repair attempts. Virginia law further explains “reasonable” to mean three or more attempts in an 18-month period for a mechanical defect and one attempt for a serious safety issue. But what exactly counts as a repair attempt? What if you take it in for evaluation, but nothing is done? The first thing to be aware of is that all repair attempts must be made by an authorized repair shop, which usually means any authorized dealer for the manufacturer of your vehicles. In general, a repair attempt is the replacement or adjustment of a part or component to correct a defect or condition. 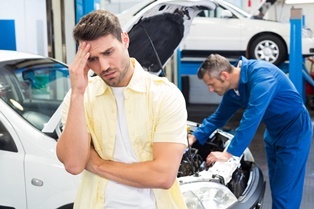 If the dealership inspects or test-drives the vehicle without making any repairs, even though they claim "no problem found", and you later prove that the problem does exist, this visit would also count as a repair attempt. You will have to provide documentation of each visit to the dealership and what was done to the car to support your Lemon Law claim, so make sure you get a repair order for every repair, and that the days out of service and all the complaints you told the dealer about are listed. Many Lemon Law claims can be easily resolved by the consumer by working directly with the automaker. However, when your legitimate claim is rejected, you may need a lawyer to back you up. We will help you gather documentation of every repair attempt to support your claim. Fill out the form on this page for a case evaluation. Where should I take my new car for repairs? 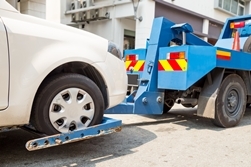 You may not be expecting to have to take your brand new car in for repairs. After all, you decided to trade in your old car to avoid trips to the repair shop. Your new car should be perfect. However, when you find that there is an issue with your new car, it is important that you only take it to a dealer authorized by the manufacturer. If you don’t, you could lose your chance to file a Lemon Law claim if the defects are not repaired in a timely manner. Who Can Make a Repair to a New Car? Lemon Law claims apply to any “nonconformity” in a new car and may be anything from a fit-and-finish flaw to a major safety defect. All of these issues are covered under the manufacturer’s warranty and must be repaired by an authorized dealer—usually the dealership where you bought the car. It is important that you document all repair attempts and keep all receipts in order to support a Lemon Law claim down the road. 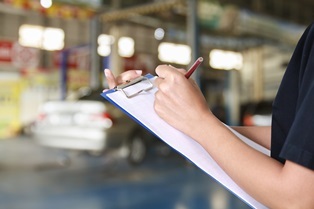 Before leaving the dealership with your repair order, make sure the information on it lists all the complaints you made even if there were no problems found. Make sure the days out of service are noted and accurate. Under the law, the dealer is required to give you a repair order. What Could Void My Claim? Making a repair yourself. You may be a skilled do-it-yourselfer, but don’t touch your new car! You should not have to fix anything on a new car, so take it in to the dealership for everything—even a problem you could easily fix yourself. Doing your own repairs could ruin your chances for a Lemon Law claim and void the warranty. Going to your local mechanic. Your local mechanic may be certified and highly skilled, but wait until you’re past the time limit for filing a lemon law claim—usually 18 months—before you take your car to him for a repair. Going to a chain shop. Chain repair shops may advertise that they are “certified,” but they are not authorized to make warranty repairs. Avoid these shops until your warranty has expired, and even then, you may want to only go to them for routine maintenance. If you are getting push-back from a manufacturer on a legitimate Lemon Law claim, call the experienced Lemon Law attorneys at The Consumer Law Group. John C. Gayle co-wrote the law and he will evaluate your case and let you know if you have a legal claim. Fill out the form on this page to get started. What are unauthorized modifications under Virginia’s lemon law? Not all new cars are perfect, although you expect them to be when you make the investment. When a new car has a defect that cannot be fixed after several repair attempts, the buyer can file a claim under the Virginia Motor Vehicle Warranty Enforcement Act, also known as the Lemon Law. 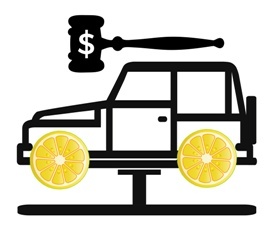 Under this law, the buyer may get a full refund of all costs for the vehicle or a comparable replacement vehicle if he can prove that his new car is a lemon. There are some exceptions to the law, however, including any defect that has resulted from owner neglect, abuse, lack of maintenance, or modifications to the vehicle. In order to make a claim under the lemon law, you must show that the car has a defect that impairs its use, safety, or resale value. The defect must have been caused by the manufacturer and be unfixable by authorized repair shops. If it is shown that your actions—or inaction, in some cases—caused the defect, you will not have a claim under the lemon law. 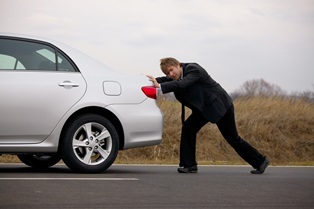 Examples of new car abuse include driving the car off-road, consistent harsh braking or acceleration, excessive speed or reckless driving, or crashing the car. A history of moving violations could be all the proof needed to reject your claim. Not maintaining the vehicle through regular oil changes and fluid checks as required by the manufacturer could constitute neglect and also void your claim. Any modification that would void your new car warranty would also void your lemon law claim. If you install a supercharger in your engine and the engine later fails, you would not be able to claim a manufacturer’s defect if the supercharger is found to be the cause of the failure. This is a bit of a gray area, however, as many modifications people make to new cars have no effect on parts of the car that tend to break down. For example, an aftermarket exhaust has no effect on the engine and fancy rims will not affect power steering, but a dealer could claim that you made unauthorized modifications and therefore gave up your chance of a lemon law claim. The dealer has to prove a connection between the modification and the defect, but you may not get that far with your case without the help of a lawyer. John Cole Gayle, Jr. is a co-author of Virginia’s Lemon Law. He knows what a strong claim is and whether you may have blown your chances with a modification to your new car. Fill out the “Do you have a claim?” form on this page to get started.